Popped and sprinkled with sea salt, this is the classic flavour. 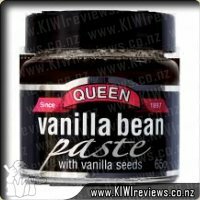 Comes sealed in a resealable 70g tub. One of my most memorable moments about going to the movies when I was younger still makes me giggle. A group of friends and myself decided we would go and see one of the newly released horrors that was playing. We got food and drink and everything was going fine, however it then got to a really scary part in the movie and I&apos;m not going to lie - I was terrified! Right at the climax to the scary scene my friend&apos;s brother decided to be clever and gave me a huge fright, resulting in a large amount of my popcorn ending up on the floor in front of me. 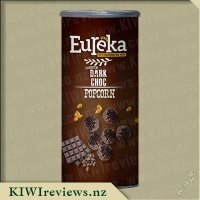 When I saw this Eureka popcorn I was intrigued by it, not only because of the range of flavours but due to the popcorn&apos;s shape. I was keen to try this round popcorn because with the normal popcorn my children usually get part of it stuck in their throat, I was hoping this wouldn&apos;t be the case with this popcorn. I love the packaging of this product, the cardboard tube is a clever idea and the plastic lid helps keep the leftover popcorn fresh. The picture shows some delicious looking round balls of popcorn with some salt beside it. This popcorn is free from preservatives and uses non-gmo corn kernels. When I saw the Sea Salt popcorn in my review box I was uncertain whether I would like it or not, I was afraid the salt would ruin the taste, this was not the case. The salt teamed well with the popcorn and was just right, I even found myself getting every last piece of the flavouring from the bottom of the can once finished. 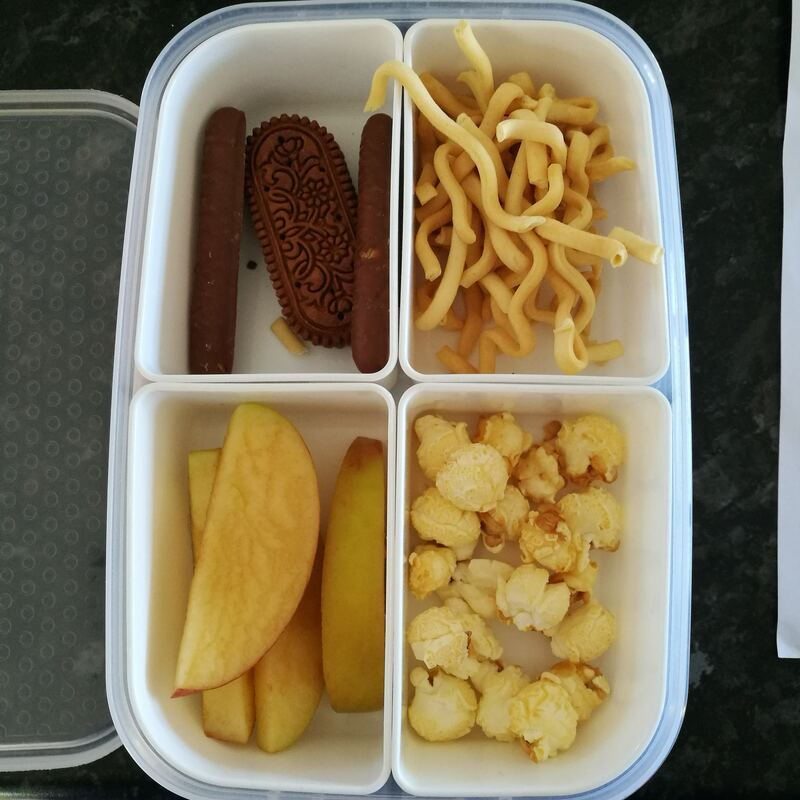 My children said they liked the taste, but only had a handful (usually they can demolish a bag in a sitting) No-one got any pieces stuck in their teeth or throat either which was an enjoyable aspect. I will be purchasing this again, I think it makes a great snack and its packaging makes it easy to take on car trips or perfect in a gift basket. I will be keeping an eye out for the other flavours that Eureka produce in their popcorn range. In this house, sweet and salty popcorn is a real favourite - so as soon as the kids saw this, they HAD to open the package and try it! Always a good thing when the fussiest ones in the house declare it "the best I&apos;ve EVER had Mum!" I was most excited to try these and see if in fact there was no husks like they said - because, I have picked WAY too many out of both my teeth and the three kids - better Mum stories anyone?!! The popcorn comes in a can rather than a packet - I am thinking so that it protects the popcorn from breakages, which it very much did! When you open the lid the flavour, and the amount actually in the can hits you first, urging you to try that very first piece.... and oh my goodness - yum - the sweetness hits first - kind of like the multi coloured candy corn you used to have at parties. I can honestly say I did not taste much of the salty flavour, most predominantly it was sweet. Turning the can around and taking a look - it was clear to see why the sweet flavour hit hard - this has a LOT of sugar in it and interestingly, not very much salt. The can is supposed to be one serving, but in all honesty - I would not eat it all in one go - purely for the sugar content. I would really like to see more of the salty flavour come through, and less of the sweet - which gets quite sickly, quickly. The kids were a bit the same - not even finishing the amount I gave them - but when asked if they would like some in their lunches the next day, the answer was most certainly YES!. I am very pleased to say that the husk free was true - with the pieces all being round little ball shapes, fully popped. Would I buy this again - yes, but I am more interested in trying the other flavours first. It is a nice popcorn, but it will go in the "treat" category due to the sugar. Popcorn is a favourite snack in this house with both the kids and the adults so we were pretty excited to try this. Eureka popcorn comes in a handy resealable container though honestly, when being shared among 3 or 4 people, there isn&apos;t much need. I was pleasantly surprised to discover that the picture matched the contents and it does look like a premium popcorn. 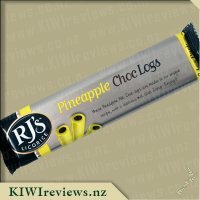 The kids were very keen to dive into this one (we also tried the chocolate covered popcorn) and really enjoyed this one, they preferred this flavour and were quick to help themselves to more. I did really enjoy it but was expecting more of a salty flavour. Reading the pack I found that it also had a high sugar content which was likely the additional flavour I could taste coming through. While I enjoyed it, I was also disappointed that this snack was not as healthy as I thought it might have been, that will teach me for not reading the pack first! Overall, definitely a popular choice flavour wise but high sugar content alone is enough to put me off. Combine that with a high price tag and this would be something I would only consider buying if it was on special and for a special treat. I always eaten popcorn thats caramel covered or butter lovers, so I was looking forward to trying a popcorn that was Sea Salt flavour as I thought it would be something different from my norm. 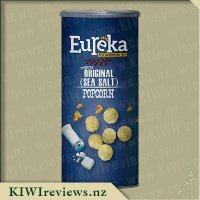 Eureka Premium Sea Salt popcorn comes is a very attractive cylindical canister that is easily opened and resealed again with the plastic lid supplied. I thought the artwork reflected the appearance of the popcorn very well inside and after studying the label, I noticed popcorn was made in Malaysia and offered Non-Genetically Modified Corn kernels with no perservatives - which was fantastic. My kids and I were keen to try the popcorn and we were impressed by the perfectly popped kernels which were so light and fluffy looking, we each popped a couple into our mouths and we were immedaitely struck by the sweetness of the kernels. We all struggled to taste the sea salt, which was disappointing due to the fact that was the flavour listed on the packaging. Don&apos;t get me wrong, the popcorn was easy to eat, and I did quote enjoy the flavours but I was left feeling a bit ripped off as I have tasted the same before and it was all a bit same same for me. It should also be noted that the packaging can not be recycled (I checked with my local council), which is disappointing in this day in age. 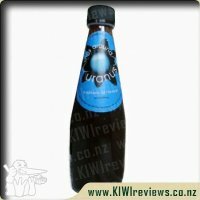 So unfortunately I have had to give Eureka popcorn lower grading in flavour and personal choice. I love my popcorn. Anytime I go to the movies, I need a large popcorn and a large frozen coke. Every time. I love the warm buttery flavour. That being said, the traditional butterfly popcorn it does have its downfalls; the shapes are inconsistent and fragile, so it&apos;s easy for them to break and make a mess, and the kernels get stuck in your teeth ever so easily. 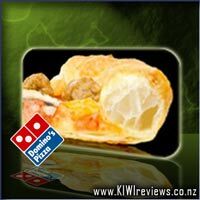 So I was interested to see how this product stacked up against my favourite movie food. Generally, popcorn will go a bit rubbery and stale once it cools down, so I wanted to see how the product would combat that. The popcorn comes in a Pringles-style can, which I kind of like; Pringles are well known for filling their packages as much as possible, rather than having a package full of air. Opening the lid, it is obvious that Eureka have gone with the same philosophy. The packet is stuffed to the brim with popcorn. 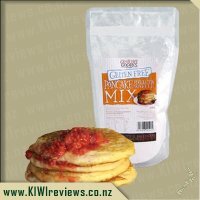 Funnily though, the nutritional information suggests that the package holds only one serving, and yet the product comes with a resealable lid. USeful if it takes more than one serving, but if you&apos;re expecting it all to go in one go, it&apos;s a bit of a waste of packaging. Grabbing a piece of popcorn, I noticed that it felt glazed. It didn&apos;t have the dry feeling I was expecting from salted popcorn. Looking closer, I could see it definitely was coated in something. Checking the nutritional information more thoroughly I noticed that 33.7% of the product is sugar. Considering Coca-Cola is only around 11% sugar, I was quite shocked. I was expecting a salty, savoury flavour, instead, I&apos;m hit with a flavour reminiscent of that candy corn you could get from the old Blockbuster video stores. Is it a bad flavour? Not at all. But I was expecting salted popcorn. The sugar is such a dominant flavour, that it is difficult to even tell salt is an ingredient at all (the product contains less than half a gram of salt). But it must be mentioned that I am a fiend for salt; absolutely love salt on everything. It&apos;s not meant to complement and draw out other flavours, for me, salt is the flavour I&apos;m looking for. It&apos;s not what I expected, and not really what I was looking for. I wanted a strong, salty flavour. I got a salty hit with a few mouthfuls as I ate my way through the pack (do be careful, there is a silica pack inside), but I feel guilty after eating it all. The sugar content is really not what I wanted in a premium popcorn. I love popcorn and my children do too, it really is a movie watching favourite we most often buy the microwave popcorn that you make in the microwave because my eldest child is a real buttery popcorn lover. I am not a huge fan of the oiliness that comes with butter popcorn in the microwave bags but do love that salty flavour so was keen to try these. I was intrigued that it had sugar in the ingredients as I wasn&apos;t expecting to see that in a salted popcorn. The taste was pretty spot on but I did feel the sugar (sweetness) came through a little too strong for me personally and I would of loved more of a salty taste. It was quite similar to a movie theatre popcorn in that you get the sweet and salty but the shape of these is so much better quite a unique popcorn shape with the same taste as popcorn but a much easier to eat ball shape. My daughter was not the biggest fan for her they lacked that butter taste and she opted for the caramel variety I also received to review which suited me well as I definitely did prefer the salted popcorn. I still agree that the price is good value for money in that the tubes have a great portion amount and being in this tube makes it easy to reseal and keep the popcorn fresh so none gets wasted by going stale. All in all I really enjoyed these and would be keen to buy them again. I like salt on my popcorn (usually when it also comes with butter, though not how the Americans like their butter...) and always add some when we make popcorn at home, though don&apos;t eat items that say they are only salted as I find they get too oily. However I am always happy to try something new and was happy to see this arrive. The front loudly states its salted but I noted on the back that there is sugar here as well, so right away was dubious about how salty this might be and so I tried not to expect too much. As with the other flavour I tried, this container is full to the brim with popcorn which adds to the value. My eldest tried this and whilst he didn&apos;t really enjoy it, he also didn&apos;t hate it. My six and eight year olds both enjoyed it with my six year old wanting more and more. I tried some but didn&apos;t enjoy this as much as I hoped. I could taste barely any salt at all, in fact nine times out of ten I couldn&apos;t even get a hint of salt, which was a shame as I would have liked more salt, some pieces had the perfect amount of salt but the majority were sweet, not salty at all. I wish this had had more salt and so I wouldn&apos;t plan on buying this unless the salt was more pronounced. Popcorn is one of those marvellous snack foods that you can never tire of. There are so many different flavours and combinations to choose from but sometimes there is just no beating the humble Sea Salt. I haven&apos;t met a person yet who doesn&apos;t like salted popcorn and honestly I don&apos;t know if they&apos;d be worth knowing. 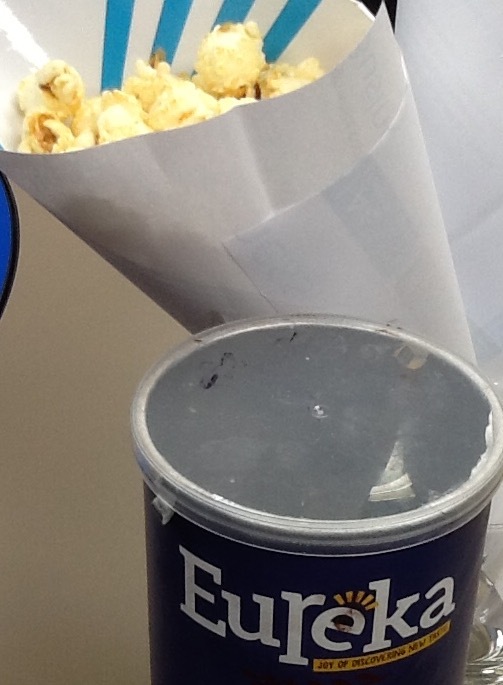 Eureka has done a fantastic job with their Sea Salt flavoured popcorn. It&apos;s definitely salty but it is also sweet. 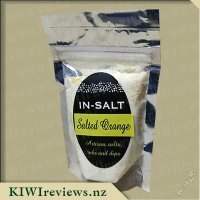 The best way I can describe it is Sweet and Salty rather than Sea Salt flavoured which is just perfect for me but others might be a little confused and expecting something a little different. 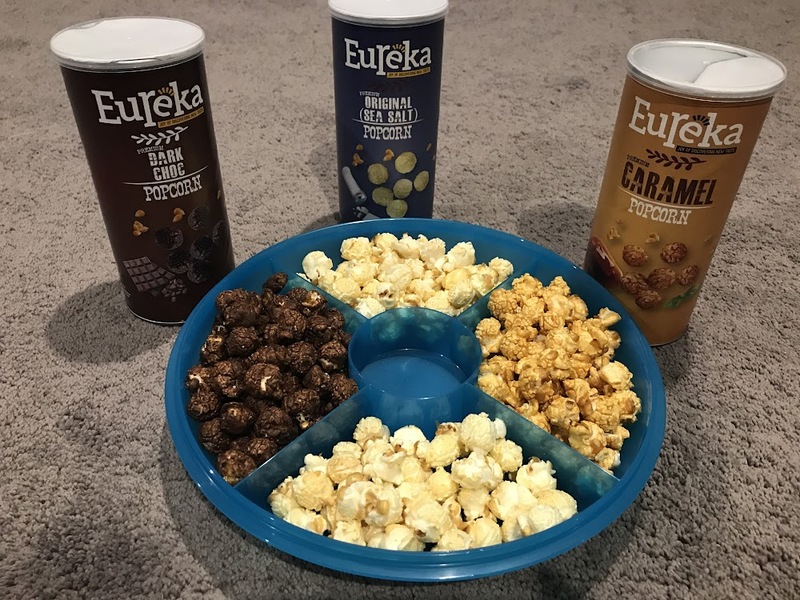 I didn&apos;t really have any huge plans for this popcorn other than eating it during a movie night so instead I decided to have a popcorn tasting event with my family and all 3 flavours of the Eureka Popcorn that I received (Chocolate, Caramel and Sea Salt). Although my family enjoyed the Sea Salt flavour, none of them marked it as their favourite. My husband couldn&apos;t decide on a favourite and said all were good. 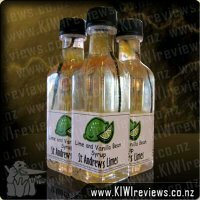 I really liked this flavour and it was a very close second for me. The freshness of each piece and the evenly distributed flavour were a huge plus and something that will keep me coming back for more tubes. My husband put it best when he said "these popcorns are good separately but I can see myself getting bored of the same flavour, the best way to have them is having them all together like this. You never get sick of one individual flavour because you get a different one with each handful." 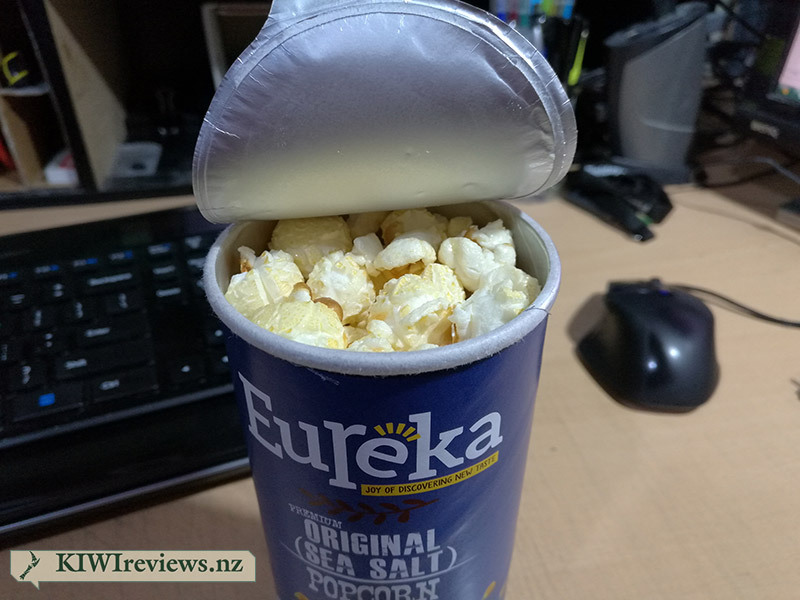 Overall, I think this Eureka Sea Salt Popcorn flavour is great and if you are wanting something that everyone will enjoy, regardless of the situation, then this is definitely the flavour for you. The tube may look small and highly priced for the size but they seriously squeeze as much popcorn into the tube as they possibly can without ruining the perfectly popped kernels. I, for one, will definitely be keeping an eye out for more packets of these and am really keen to trial the last flavour now. I left the traditional salted popcorn till last - I wanted to see if it was as good as the different flavours on offer from Eureka. It was actually quite interesting - although the pack said it was "original sea salt" flavour, there was a discernible sweet flavour as well. When I looked more closely at the ingredients, I found that sugar was second on the list, well ahead of the salt! After my initial reaction, I found that I did like the combination. Sweet and salt seems to be in fashion these days, with salted caramel heading the list, so I suppose I should not have been quite so surprised. In fact I had to stop myself from eating the whole lot in one go because once again I had planned to test it with two friends who were coming over to watch a DVD series with me. Since it was to be a traditional popcorn-and-movie session, I decided to remove the flakes from their original pack and put them into paper cornets like those you sometimes get at fairgrounds. Some fizzy drinks with straws and I had the scenario all set for a fun viewing. The three of us finished the entire container of popcorn and could probably have eaten more, but unfortunately I had only the one packet to share. The pack actually states that it is one serving, but in that case it is an extremely generous one! Had I not been sharing, I would not have decanted the contents into my paper cornets because the product would actually keep better in the tin. What I really liked about the popcorn, and this is something that both my friends agreed with too, was that there was no mess. The flakes held together beautifully; there were no crumbs or dust to clean up afterwards, and no fluffy or hard bits to make you choke (something I can do with great expertise when I usually eat popcorn!) My friends were intrigued that I referred to the individual pieces as flakes because that is something they associated with breakfast cornflakes, but apparently that is the correct term for a popped kernel no matter what the taste! So in evaluating this product I have also learned a new word. I liked the way that a silica gel was included to keep the contents of the packet fresh. This would be especially useful if you wanted to eat some and save the rest for another day. Not that there was any danger of this happening But next time I try them I am going to serve them with a fresh salad. 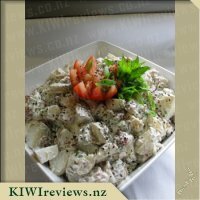 They are so crisp that I think they would hold their texture if mixed and served immediately, and I can see that they would go really well with a combination of olives and shredded salad vegetables - provided the salad is not too moist. The flavours would be stunning together. This is the one flavour my daughter had been dying to try because the container was blue and it is her favourite colour. I have also been very curious to try this flavour, but for completely different reasons - basically, because I love my popcorn and I can be very fussy when it comes to salted ones mainly because of the quality at the cinema at times. The container is bright and inviting and the popcorn picture on the front looks like fully clouds that you just want to pop in to your mouth. Opening the container was a breeze and my daughter had her hand in there before I got the chance to ask her if she wanted to try one. Her hand was back in there again before I had even had my first one and she had a huge smile on her face saying &apos;yum&apos;. It is fair to say my family love their popcorn. I finally got one and the first thing I have to say is I love &apos;mushroom popcorn&apos;! All the pieces just feel so light and are always fresh and I agree I have not had any stuck in my teeth to date. The second thing I have to say is it the perfect consistency of salt and light air. These popcorn&apos;s are a winner. When you think how much popcorn is at the movies compared to what you get in one of these containers it works out roughly the same the only difference is the quality you are receiving from this brand. Every single one has been pretty much the same size and every single one tastes so good. Is it something I would buy again - absolutely. Does the family all enjoy - absolutely no doubt about it. My only complaint would have to be, before you know it the container has been emptied and you are left wanting more. I&apos;ve been a fan of popcorn for as long as I can remember, but for most of that time, it has only had 1 flavour - salty butter. I refuse to pay $18.00 for a tub at the cinemas, so have always made my own. Popped in hot butter, sprinkled with salt. 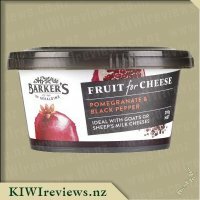 It&apos;s really only been in the last 12 months or so that I have encountered these new "fancy" flavours, so something as simple and classic as this flavour was actually quite interesting for me. It&apos;s simple, it&apos;s basic, yet it was a wonderful new flavour for me. It wasn&apos;t oily, it wasn&apos;t too salty, it had a slight sweetness... and one certainly couldn&apos;t fault the portion size - unlike every bag of crisps in existence, these tubs are packed FULL, right to the foil seal... as the linked photo shows. Literally, not even room for one single kernel more to fit in. 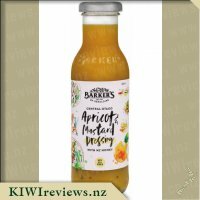 I was planning all sorts of wonderful food experiments for this... but alas, I fell victim to the flavour, and a desire to "quality check" just one more pop to see if the flavour was as uniform as the last one. Naturally, watching a classic TV show in the background, I fell into autopilot mode, and next thing I know I was groping around the bottom of an empty tub seeking just one last morsel. Instead I find something genuinely surprising - a bag of silica gel to absorb any moisture in the tub, and a "refreshment chip" - a plastic-like square that a bit of research informs me is made from natural plant extracts and reduces odours and acts a non-invasive preservative by preventing mould growth. Brilliant! Just Essence are specialist caterers for corporate functions, weddings, funerals and memorials, anniversaries, birthdays, cocktail parties, working lunches, conferences, venue hire and special occasions. 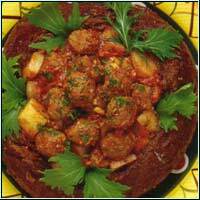 They have a wide range of menu options available to suit all budgets and event requirements.